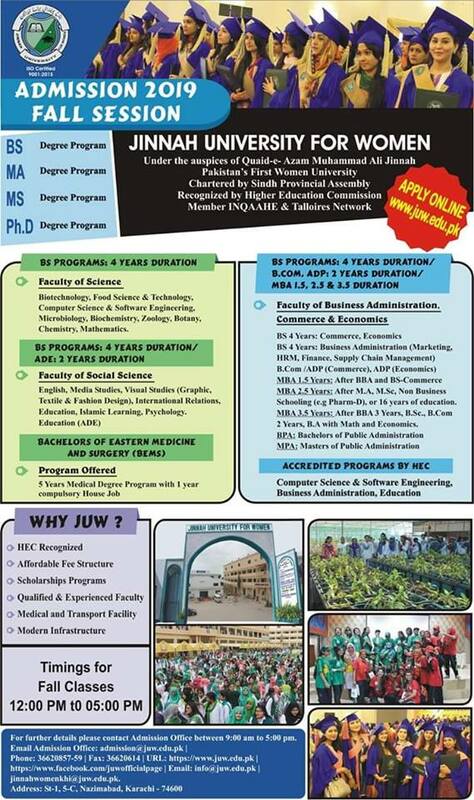 Karachi, Jinnah University for Women has announced admission in various Programs. JUW Admissions in BS, MA, MS and PhD. Candidates who want to get Admission in JUW can apply before 12 April 2019.